Groundhog Day is the long eternal tragedy of Islam, which always sees its shadow and always ends up with six weeks, six months or six hundred years of more winter. That hopeful time when the bitter cold of winter begins its slow transition into the warmth and renewal of spring never comes for Islam. In a reversal of the cycle of season, the Arab Spring led to the Islamic Winter, but that is the endless pattern of Islamic attempts at reform and rejuvenation, which rather than finding renewal in their attempts at transformation only go on perpetuating the same cycle of violence, tyranny and oppression. There is a peculiar tragedy to a religion which cannot escape its own destructive nature, each time it reaches for some form of redemption, its hands come up dripping with blood and it all ends in more bodies and petty tyrannies. The film Groundhog Day showed us a man who was doomed to repeat the same day over and over again until he learned to use his time to become a better person. Islam has been stuck in its own form of that cycle, repeating the same few decades over and over again, moving from religious ecstasy to holy war, seeking redemption through religious tyranny and Jihad, and finding that there was no escaping the internal decay and instability in the veins of the religion. Islam's only redemption is in establishing a theocracy. Its commitment to power and the indulgence of the earthly and heavenly paradise of loot, slaves and violence, led to its own degeneration over and over again. Having no other spiritual form than the exercise of power, it has corrupted itself each time, and then attempted to exorcise the corruption through more of the same. The Islamic leaders of one generation endorse the tyrants whom the Islamic leaders of another generation strive to overthrow. Hardly had Mohammed kicked the bucket than his nearest and dearest were fighting a civil war over supreme rulership. The origins of the Shiite-Sunni split lay not in theology, but in a vulgar power play between Mohammed's son in law and his father in law's clan. That greedy infighting has hardened into theological variations, but the real split is what Muslim wars are always really about, money and power. Over a thousand years later the Muslim world is still dedicating all its energies to civil wars and external conflicts whose only true goal is to put money and power into the hands of its leaders. The confrontations between the prominent Persian Shiite families running Iran and the Arab Sunni families running the Arabian gulf states are not theological, though they take place under the guise of theology. They are ethnic and economic conflicts dressed up as religious conflicts. 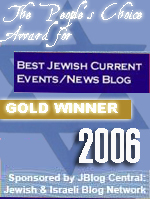 The ugliest elements of Islam, its bigotry toward Jews and Christians, its endless Razzia raids, its need to remove the faintest doubt about the parentage of the children of its women, are pure tribal pettiness distilled into religion by warlords and clan leaders whose understanding of theology did not extend beyond personal power. Islam was a predecessor of power movements like Communism and Nazism, its leader worship grimly real, as any cartoonist who has tried to draw a picture of Mohammed knows, or anyone who has seen Shiites cut their children bloody while crying out in mourning for Caliph Ali. Its theology incapable of embracing anything higher than its own will to power. Its objects of worship are its warleaders, its soldiers and its atrocities. Erdogan, the future Islamist Prime Minister of Turkey, read a poem that went, "The minarets are our bayonets; the domes are our helmets. Mosques are our barracks, the believers are soldiers. This holy army guards my religion. Almighty, Our journey is our destiny, the end is martyrdom". This rendition of Islam's limited theological horizon was more than a warning for what would follow when his party took power, it was a depressing journey into the black hole of Islam where the only destination is self-destruction. Not only is the Islamic imagination incapable of envisioning a better way, it is also obsessed with the destruction of anyone or anything that can. Like the dumb violent kid in the back of the class, it not only refuses to learn, it is driven to harm anyone who does learn and tries to become a better person. The reflexive Islamic hostility toward the modern and the humane is fear transformed into hate. Fear of inferiority and fear that modern sensibilities will end the tribal reign of power and usher in a new order that will no longer incline its head to bearded old men and their dreams of conquest. Islamic fanaticism is most pronounced among those who have the most to lose. Not the poor and the downtrodden, but the sons of the upper class and the upper middle class make the most eager terrorists. The families who are now on top have the most to lose from the arrival of spring and are the most determined to retain their feudal powers, their oligarchies and tyrannies. Apologists for Islamism like to portray those groups as liberation movements, but there is nothing liberating about terrorist groups run by millionaires and billionaires, doctors and other degree holders, and funded by the ruling clans of Kuwait, the UAE and Saudi Arabia. These ruling families have the most to lose from modernization, and though they build skyscrapers in their cities, they also helped orchestrate the Arab Spring to topple more modern governments and replace them with parties affiliated with the Muslim Brotherhood. 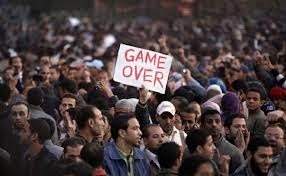 The Arab Spring is a misnomer because Islam exists in opposition to the spring, to the renewal of human energies and creative capacities. Its natural season is the wasteland, the scorching hot desert or the bitterly cold tundra, a place where life has no capacity for growth. Islamic law is aimed at freezing human moral capacity in the seventh century deserts of Arabia where women are property, outsiders are fair game, and power is the only morality that matters. Anything that subverts this order, whether it is domestic minorities or the existence of free people an ocean away must be attacked and destroyed. Islam has no capacity for debate. Its blasphemy laws wall off dissent and prevent anyone from questioning the moral absolute of its power. It has, as the Ayatollah Khomeini said, no sense of humor. To be able to laugh is to be able to laugh at oneself and such laughter comes too close to doubt. There is no room for doubt in Islam or for any human expression. Accordingly there is no thaw, only the eternal winter. Carrying the seeds of its own destruction within its religion, it fights the same battles under new names and with new weapons. The wars that were once fought with spears are fought with warheads, but in the end they are still settled with knives, like the box cutters of the Islamic hijackers of September 11 or the murderers of Daniel Pearl. No matter how advanced the technology becomes, the sword is still the embodiment of Islam. The Muslim Middle East is indeed changing, but it is changing back to what it once was, casting off the last remains of modernity imported from the West, and bringing back the reign of the Burqa, the sword and the prophet. In the West time moves forward, in the East it only moves backward. And so the spring will never come for Islam. Instead it will act out the same bloody rituals of Jihad, the killing of infidels and the civil wars, the slaves building civilizations, the masters molesting young girls and then beating them to death out of fear that the children might not be theirs. This is the terrible cycle that repeats itself without hope of redemption. This is the rite of winter that is at the heart of Islam. It is a dark and bloody rite that has not changed in a thousand years. What we are witnessing in Islamic oppression and terror is the ancient ceremony of death, the ritual sacrifices of Ayatollahs and Mullahs over deserts and dusty fields, that holds back the coming of the spring. Powerful, courageous and accurate as always Mr Greenfield. You are the most inspiring writer in the world today. Thank you. That Islam cannot look inward and become self aware and sub-Saharan barbaric tribal horror are the saddest portions of humanity. The sad part is that the civilized West has opened its' borders to this cancer which is now metastasizing throughout the world. 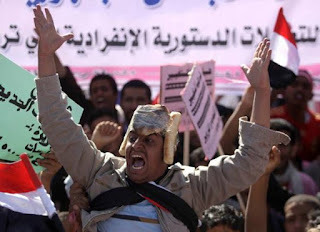 Global warming will not melt the frozen winter that the Arab Spring has unleashed. Judaism is a sensible, modest, kind-hearted, middle-aged lady who is more than thirty-five centuries old. She has two daughters, Christianity and Islam. Christianity was a little hellion who made life miserable for her mother until she grew up. At twenty centuries of age she is now out of the terrible teens and has become a joy to live with. She certainly has her own opinions, but she has become respectful and tolerant of her mother's. But the younger daughter, Islam, is not yet fifteen centuries old, and she is quite impossible. Is there any possibility that she, too, might grow up? There isn't a better analyst of Islam anywhere now that Barry Rubin (RIP) is, undoubtedly, hotly debating policy with Ari Sharon, under the cool shade of an Olive tree, in a place of perpetual sunshine and warmth. That's Islam is a pirate's religion is made so abundantly clear that any thinking and open minded Muslim would, upon reading this essay, fall into a deep depression and, if he recovered, abandon Islam in favor of anything---Wicca, Scientology, anything but this fanatic faith of homicidal pirates and pederasts. I don't know whether it's a good thing that the sultan is still at large since it obviously means that the Regime doesn't consider him or his blog as a clear and present danger to the stupified masses of the United States. They day you are featured in the Pravda on the Hudson, Sultan, is the day you want to quietly slip out of the US and not return until the nation is ready to shake off its shackles. There are advantages to flying under the radar as far as the establishment is concerned. When your position starts with absolutes and unbending dogma, there is no place to move. An entire segment of the earth's population is locked into a self-inflicted time warp, with no escape allowed. Grim but true. I like the Groundhog Day versus Arab Spring juxtaposition -- we get a prolongation of barrenness. 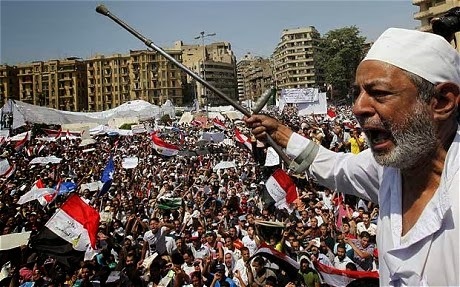 The Muslim World doesn't need an Arab Spring, it needs a Great Apostasy, the great day on which hundreds of millions chuck Islam, Allah, the Quran, Muhammad and his Great Jihad and dance in the streets with Jews. It might happen sooner than you think. The question is, what will we do next? It's time to get ready by figuring out how to redraw the lines in the Middle East and having a proposal ready. Well, it's good to be understanding and insightful, but I still think we need to nuke the entire religion of Islam from orbit. It's the only way to be sure. I will wager the Sultan thought not once of Indonsia here. in her book, "The Force of Reason," the Magnificent Fallaci unveils the mystifying secrets of izlom as a stagnant pond - while we curious kuffar were continuously refreshed, renewed, educated, and fortified like a stream that benefits from winter snowmelt and spring, summer and fall rains. Everchanging. Islam can only grow up once she has killed both her mother and her sister. That is literally her definition and the only answer to your question. Anyway even if you disagree you are unlikely to live long enough to prove anybody wrong. I like your style: they nominate you for Islamophobe of the year, and you come back with this! 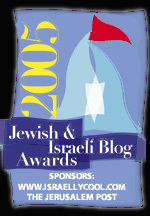 Finally I get to compete against Obama for an award. spare me the sympathy for the poor muslims, permanently caught up in a religion of violence, ignorance, superstition, and crime. my sympathy is with the infidel, assailed by 14 centuries of attack, abuse, crime, and genocide at the hands of those poor muslims. muslims do, after all, have a choice. they cannot reform islam--it is a revealed religion, and the directives to do perpetual evil come directly from god, through the holy prophet. they can, however, dump islam, and join some religion that is not directed to commit unceasing crime and evil. they do not, because they are comfortable with the evil dictates of islam. I wonder... how do you nuke and destroy an ideaology? From what i underatand, as a people, they have so many babies, we should probably think about ways to educate them on even simple topics, like i dont know, the universal declaration of human rights perhaps. Indeed though, Islam is not healthy. I sometimes wonder if the barren quality of much of the landscape in Muslim countries contributed to such an astounding emptiness of thought or compassion. However, imo, many are already walking on the path to self destruction. Their habit of marrying family members does not bode well for intelligent survival, in fact there is already ample evidence of that. All of their 'science' is stolen from the West or Asia. They even import westerners to run their oil fields, and their biggest crop appears to be the poppy. Now they are murdering healthcare workers in Bangladesh for wanting to give polio shots to their children. Only their birth rate is slowing down their inevitable self destruction, along with our Muslim sympathizing leaders in the West. I hope you don't mind if I use this space to post a question. Something has been plaguing me for quite some time. I have finally identified it. I have realized that Muzloids are a sort of doppelganger of your average American. I think I tried to convey the idea earlier, and I hope I'm clearer now. Essentially, the reason that the alternative right (or dark enlightenment) or however one describes underground dissident right is that the Powers that Be will smoke them in two minutes. Almost quite literally. And why do the Powers succeed? Because Americans want them to succeed. Americans have a moral world view that is as inflexible as Muzloids only that the American world view is based on soft Leftism instead of Islam. Americans regards "racism" as some sort of unforgivable sin and will not lift a finger to help any accused racist. Most will agree with the burning of the vile racist heretic and few will actually assist. That is just one example. It seems to me that all the logical fallacies and magical thinking that Americans cling to with Jihadist fervour emanate from the Prime Fallacy or Prime Magical Thinking: Equality. The precious Equality trumps all. It trumps logic, reason and, even, sanity. America was the first Leftwing, anti-Traditional Society and still remains as fanatically liberal and anti-Tradition as possible. A seemingly minor custom such as addressing men old enough to be one's grandfather by their first name, in my opinion, serves as a shorthand for cultural decay fostered by this world-view. I contend that America cannot succeed until this moral fanaticism, this reality-denying belief in "Equality" is defeated. I contend that when "Equality" is defeated, there will be America left to defend. Do you think I am making any sense? I don't think it's racism so much. Americans regard a lack of fair play and abusing the weaker party as a sign of a lack of character. That trait has been exploited. Adi, I know your question was directed to Sultan, but I have been thinking about this too, quite a lot, in fact. Obama has moved on from dividing the pie equally, probably due to his poll numbers, to 'equalty of opportunity'..What a joke, everybody knows we create our own opportunities. Is he going to require business to hire high school dropouts and call them CPA's ? Coming from the Affirm. Action president, no less. If he had be subjected to opportunities based on scholastics,and work ethic, he would have become a community college dropout, selling drugs on Waikiki. The fact that he and his fellow opportunists can string a few words together, doesn't mean they understand them. Perhaps Islam is the way it is because of the geography of the region. The open country makes attack easier then defense, and the horse makes a sudden and devastating attack possible. These combined favor the aggressive over the passive, and reward treachery to an extent that is greater then in other regions. Naturally then the tribal cultures that win are aggressive and treacherous, the losers are the passive and the trusting. If you think of it, Islam is really just a tribal culture blown up into a religious ideology. And the religion reflects the culture of the region, aggressive and treacherous. "Islam can only grow up once she has killed both her mother and her sister." It is ironic how the West still carries the "torch" and the frothers carry the "sword", still the torch can still do more damage. It IS sad that so many millions live under this crazed violent ideology. Christianity and Islam are the yin and yang of this world. It is inevitable that the day will come when we are forced to fight or kneel. It is very unfortunate that the liberal mindset tends to favor the depraved, retrograde religion of spite. An excellent book I've read in the past is "Sinisterism: Secular Religion of the Lie" by Bruce Walker (2007). There is a chapter on "Sinisterist Radical Islam". Basically Mr Walker said that the only "truth" allowed by the Nazis, Communists, Islamists etc is POWER. (Intolerance). They want to control every aspect of life, including conscience. Excellent article, it's spot-on. The truth is so obvious. Islam has a bloody history of 14 centuries of conquest, murder and savagery. It has produced absolutely nothing of value to mankind, only death and destruction. But if this is so obvious to me and many others, why is it there are still so many naive, misled people who fall for all the PC-lies told about islam? Why they keep liying to us about this bloody death cult? Even smart, educated people tell such nonsense, it is heartbreaking. Nothing you can say, nothing in the world can make them change their minds. They are fools, ready to be slaughtered.